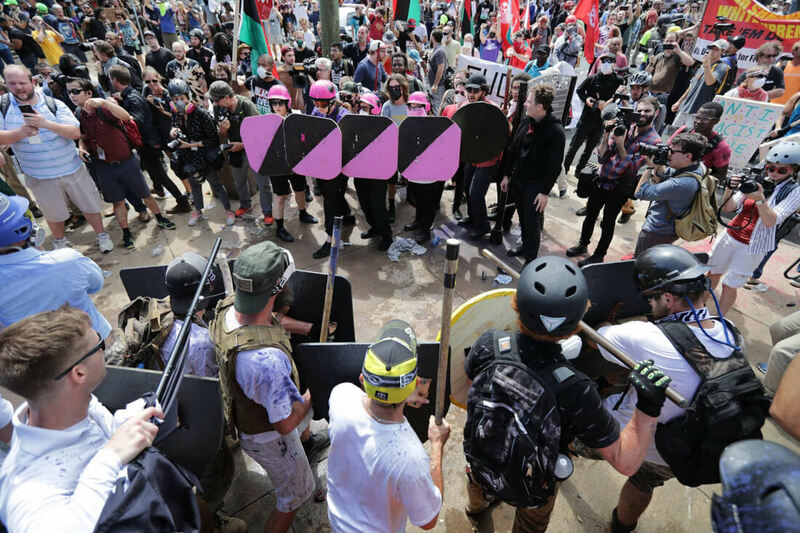 The past few days have seen many of the largest tech companies coming out against extremist groups such as the KKK, neo-Nazis, and other white supremacists. While condemning hate is nothing new, this has led to a debate over whether or not these groups are protected under the First Amendment. They have the legal right to free speech and to protest in the real world, but what about when they look to form communities and engage in hate speech online? The debate started when GoDaddy kicked the Daily Stormer off of their site for violating their terms of service. They have since been exiled to the Tor network after their .com and .ru domain names were cancelled. Cloudflare, Apple, Google, and many others have followed by dropping domain names of hate sites, banning accounts of white supremacists, or otherwise canceling service to those putting forward hate speech. Can these companies legally do this despite given the protection of free speech under the first amendment? The tentative answer for now is yes. Current laws do allow discrimination based on ideology and the Communications Decency Act allows tech companies to "publish or not publish things" as they choose. These laws are different from ones regarding employment which protect from discrimination based on race, religion, and sexual orientation. This means political groups like neo-Nazis, white supremacists, and other extremists are not protected classes and therefore have no right to free speech online. Private companies are currently withing the law to refuse them service. Going forward, the Supreme Court plans to make a decision on this issue in the coming months. They will be hearing the case of a baker who refused to make a wedding cake for a gay couple. While not related to hate speech online, the ruling might have far reaching effects for accommodation laws.